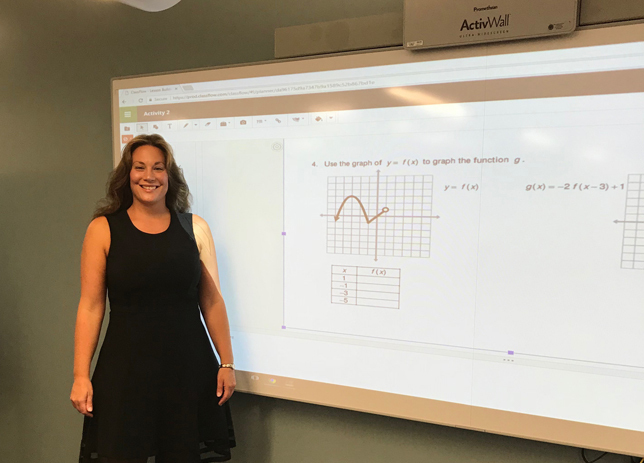 Hillsborough Community College redesigned its algebra courses to incorporate active learning and a variety of technologies. For years, Hillsborough Community College (FL) has been grappling with how to get students to do better in algebra courses, which are prerequisites for many other STEM courses. HCC's enrollments in math, life sciences, chemistry and physics have grown 12 percent for all students in the past five years. Yet in fall 2015, 40 percent of all students enrolled in eight math courses received grades lower than C. The fall-to-fall retention rate was a low 48 percent for 2014-2015, well below the national two-year open-admission college rate of 55 percent. "We were obviously doing something wrong and I wanted to figure it out," said Misty Vorder Bruegge, project lead and a math instructor at the college. 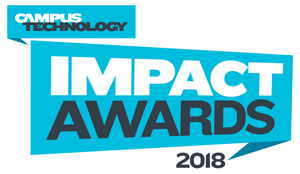 Hillsborough's effort to improve persistence and success in STEM programs began with winning a five-year Department of Education Title III Grant focused on math success. In fall 2016, HCC redesigned eight math courses with new software and active learning environments, and added a new Math Resource Center. Pilots began in fall 2017 with 14 sections of intermediate and college algebra. One key to the project is that the instructors get to mix and match different technology options. They receive data feedback to help determine what worked well and what did not, and can then share that information with other faculty members. 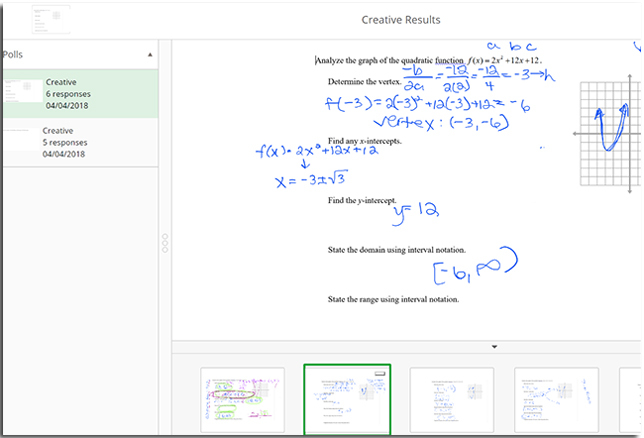 "When you start seeing in your data that one section is outperforming another, it may suggest that one learning platform works better," said Vorder Bruegge, who tried new technology platforms in her own college algebra sections. "That is huge knowledge for us because when our department considers purchasing resources again, I am going to present that data." In Vorder Bruegge's redesigned college algebra course, students began with an initial knowledge check in McGraw-Hill Education's ALEKS adaptive learning platform, to assess what kind of pre-existing knowledge they had coming into the course. They watched lecture videos at home on their own; then in class they worked on activity questions in groups, using iPads and Apple Pencils, Promethean ActivBoards and a Promethean ActivWall, which offers multi-touch interactivity, HD viewing and dry-erase writing. Students also used class time to work on homework, using either ALEKS or Pearson's MyLab with Skill Builder. Vorder Bruegge also used Promethean's ClassFlow software to create paperless quizzes, polling and other activities. ClassFlow quizzes embedded in her video lectures helped ensure that students were watching the lectures and taking good notes. "I use it to poll them in the middle of a lecture if I am not sure they are getting a concept," Vorder Bruegge explained, "and I get instant results." Promethean's ClassFlow software allowed instructors to create paperless quizzes, polling and other activities. Students were more motivated in the active classroom setting, according to Vorder Bruegge. "They would ask each other for help before they asked me or the supplemental instructor," she said. "They liked using the Promethean Boards, because it feels like they are part of a team trying to master this. Sometimes it even gets a little competitive, which is fun for them. They can explain to each other how they learn rather than just sitting there listening to me. With the videos I create, they are going to absorb what they are going to absorb, but they need to get in there and start doing it themselves, and that is where you start cleaning up their math skills and helping them work through their gaps." As part of the grant initiative, Vorder Bruegge and her colleagues went through extensive training with experts on course design, and trainers were available to help with implementing the technology. Some instructors are more comfortable with technology than others, and they faced some implementation hiccups. For example, they discovered that the ActivWall had freezing issues when multiple student users were working on the board simultaneously. While the ActivBoards worked well, they could only accommodate one group at a time. The Apple Pencils were great for paperless classwork, but without a multi-charger available, charging the devices could be a hassle. "We ran into kinks with some of the technology, but lots of it did work really well," Vorder Bruegge said. When you try new technology in class, you have to think in advance about the possibility of it failing and have a clear backup plan, she added. "Then you are not afraid to try anything." Support from colleagues also helped: "The nice thing about Hillsborough is that even though we all got frustrated sometimes, we were always supportive of each other. We are good about learning from each other." The transition also took a lot of effort on the instructors' part. They created lecture videos using TI SmartView Emulator, Doceri, Camtasia and YouTube and then embedded the content in the Canvas learning management system. "I had two textbooks and had to create videos for both," she said. "It was a big job, but it paid off." Student outcomes make that payoff clear: In her section that used the ALEKS platform, Vorder Bruegge said the pass rate was 79 percent. "That is the best pass rate I have ever had in college algebra. And the next semester it still outperformed, so that is one of the consistencies you look for. Both sections that semester did well, so that tells me that active learning is working." Hillsborough's next step will be to expand the project from intermediate and college algebra to pre-calculus/trigonometry and statistics. "The idea is not just to filter more students through algebra, but to retain those students," Vorder Bruegge said. "We want to make sure we are not losing them along the way. So many jobs today require students to have some kind of STEM background."